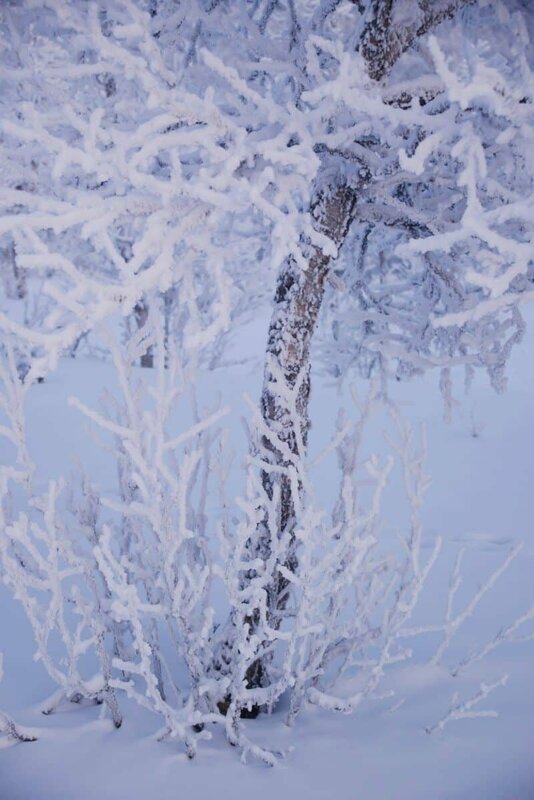 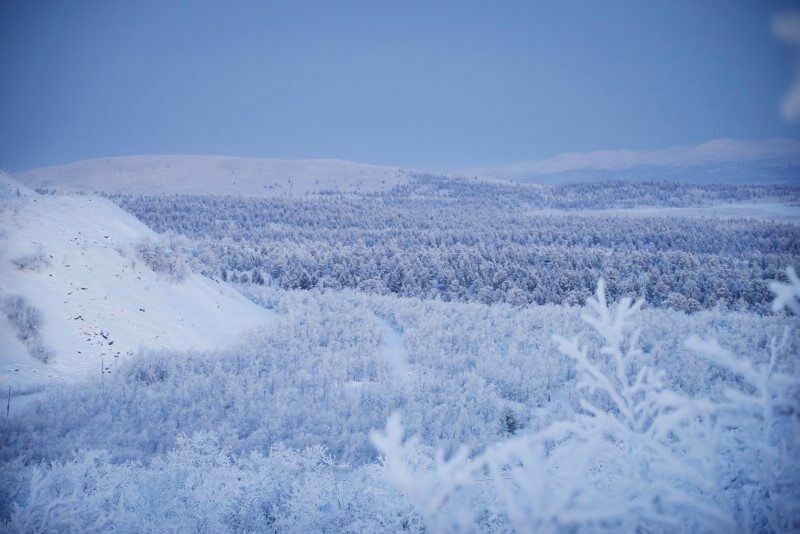 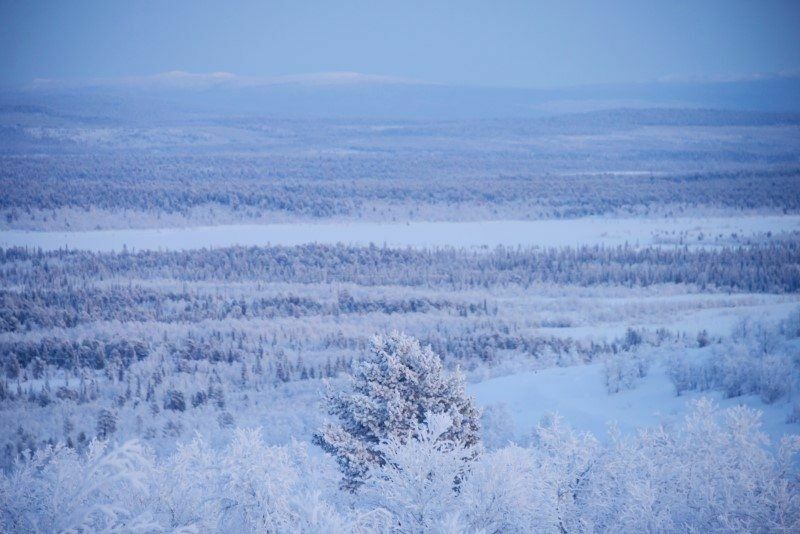 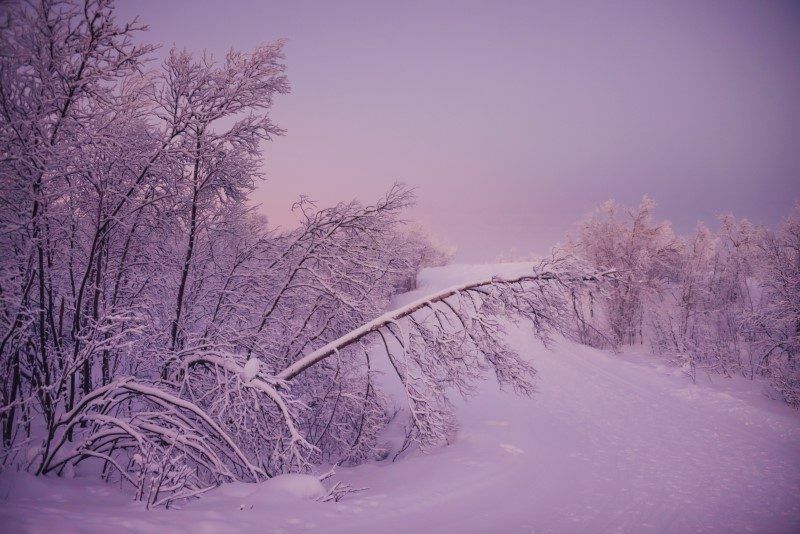 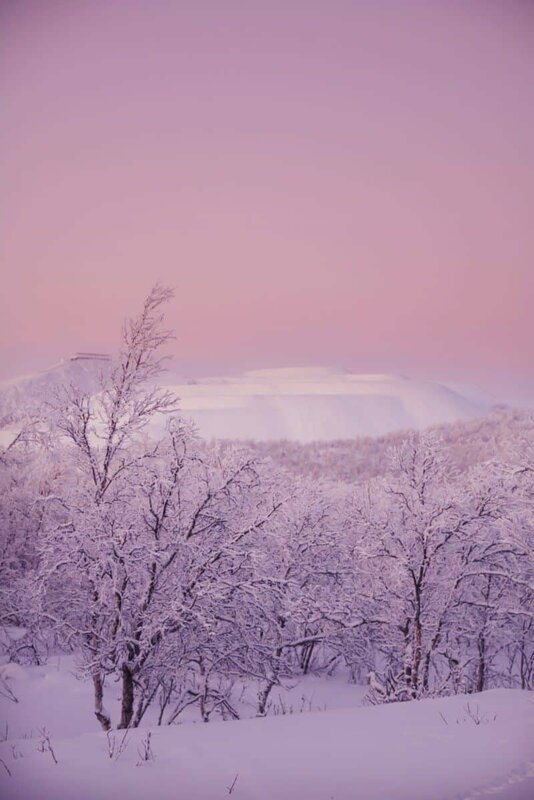 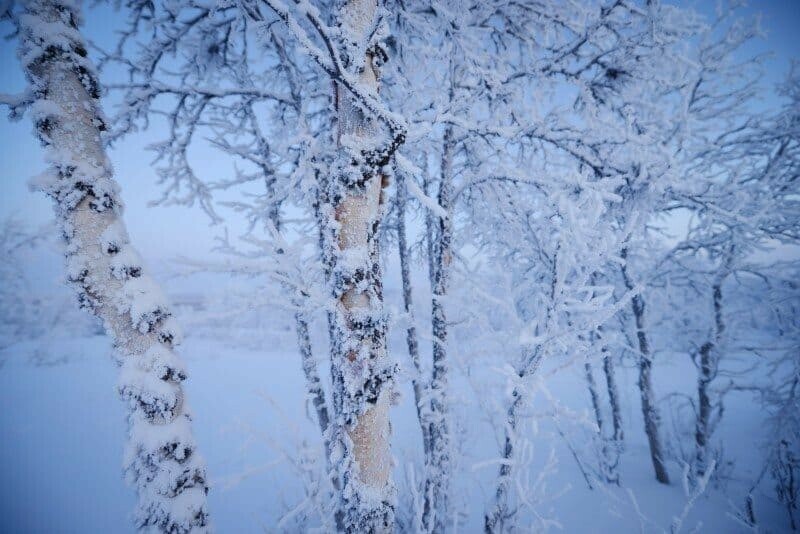 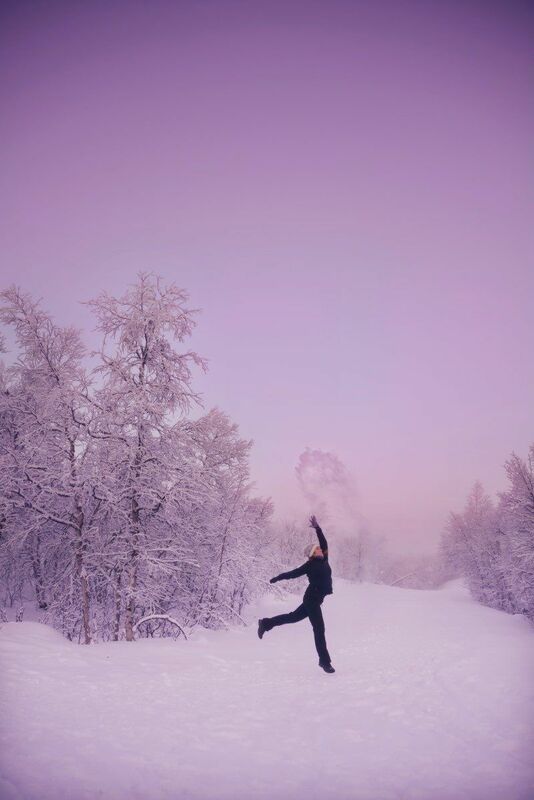 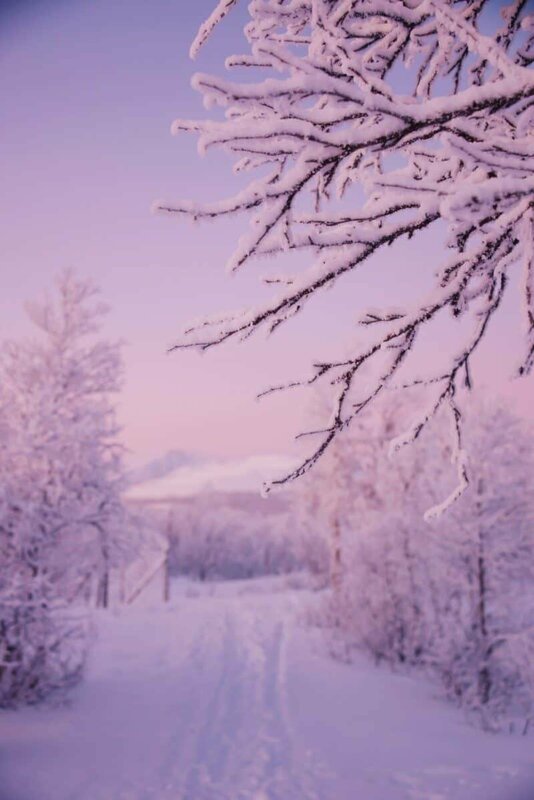 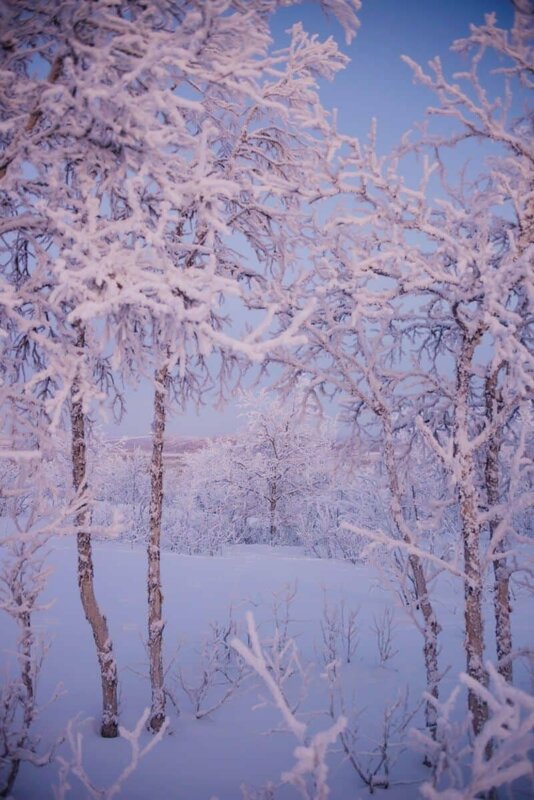 The landscapes of Swedish Lapland in winter are like a snow globe come to life. 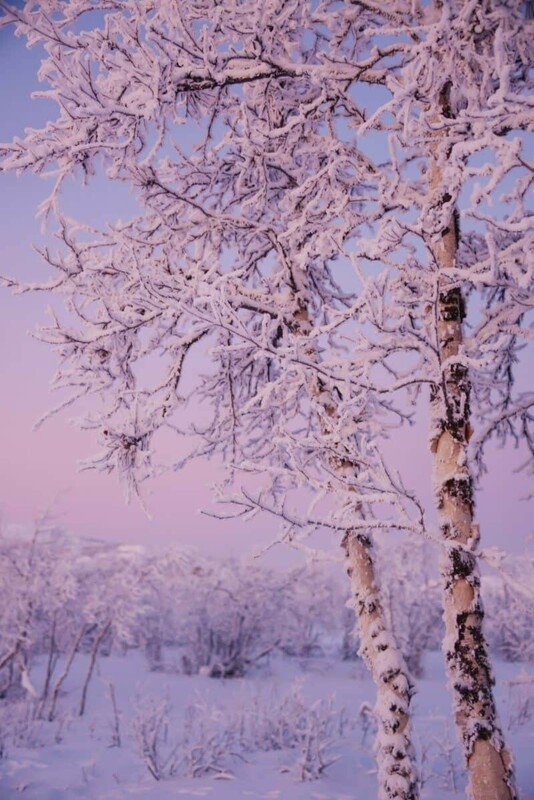 White, bright and dreamy with a sky filled of constant dusk. 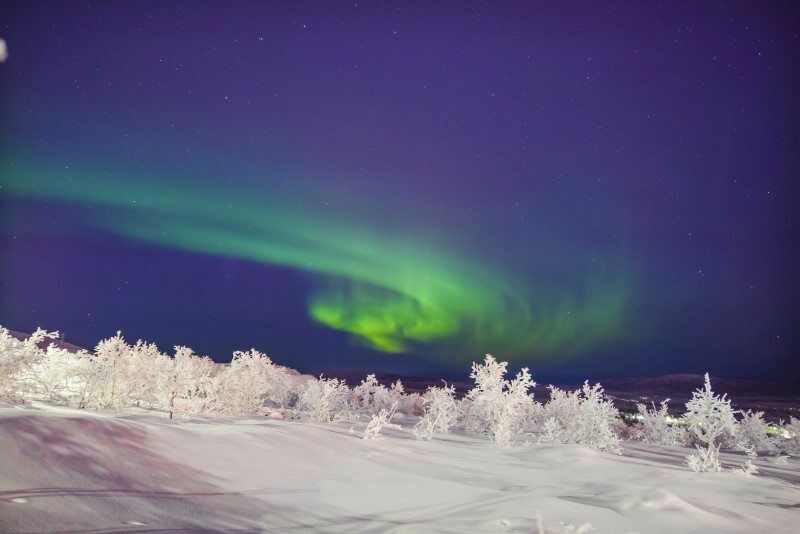 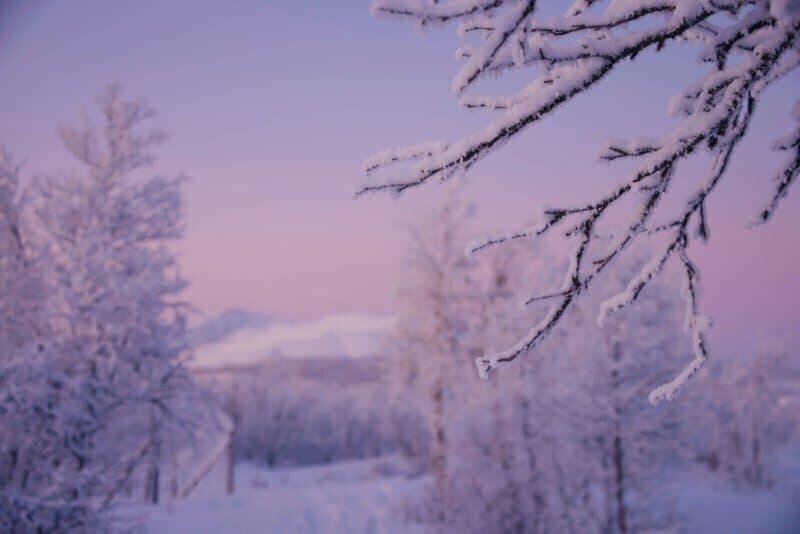 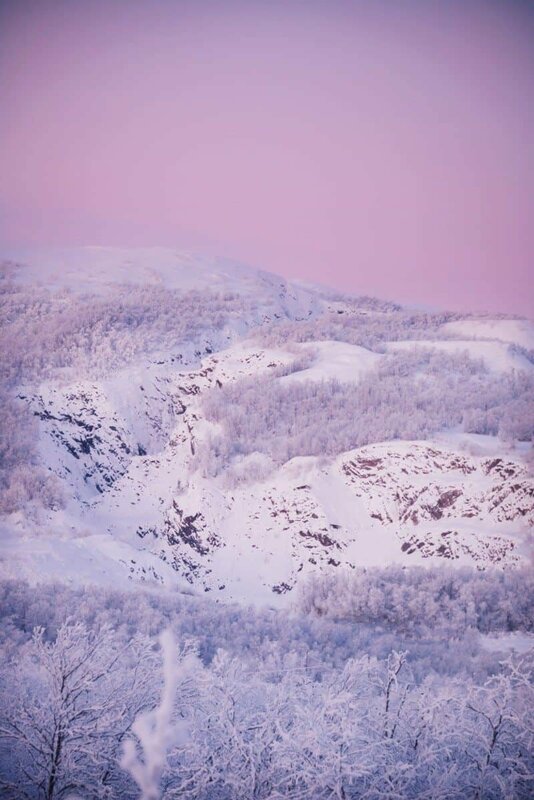 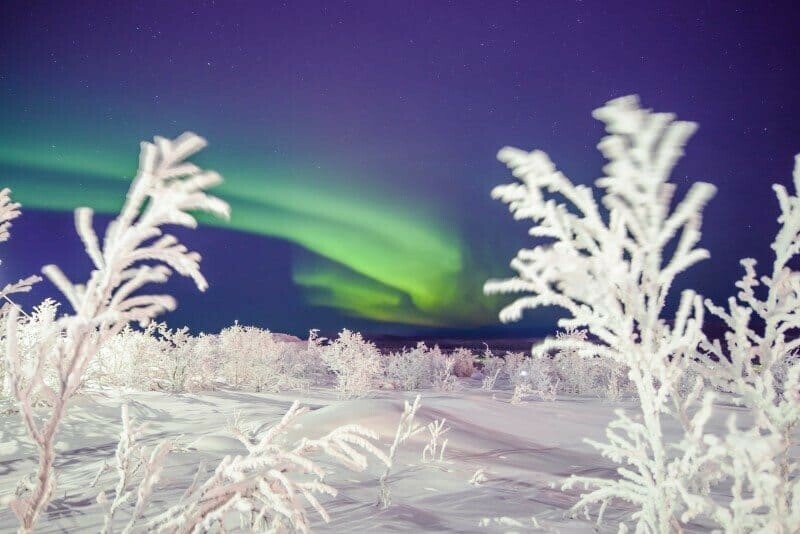 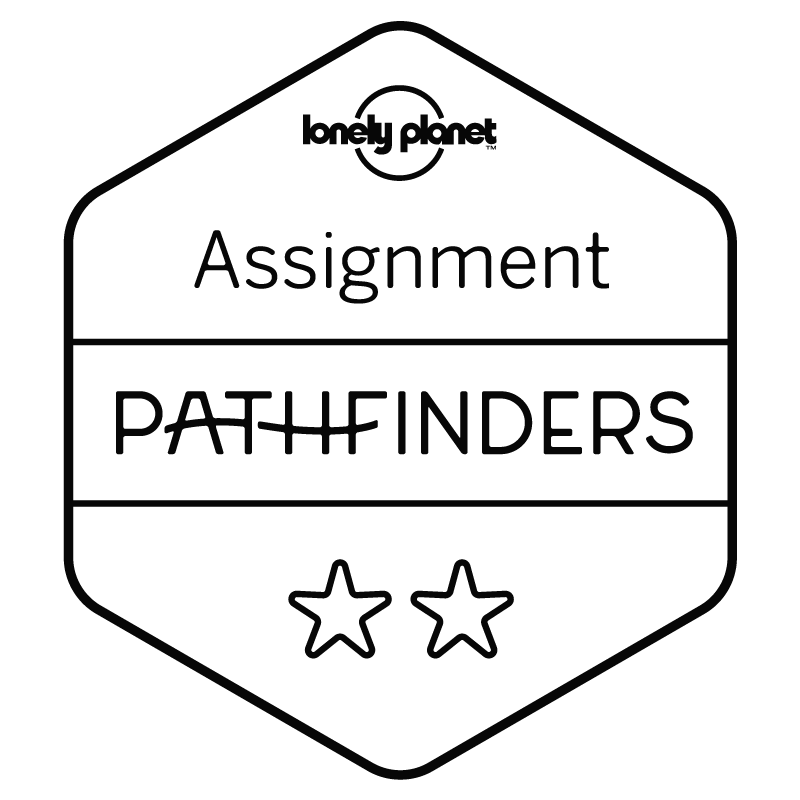 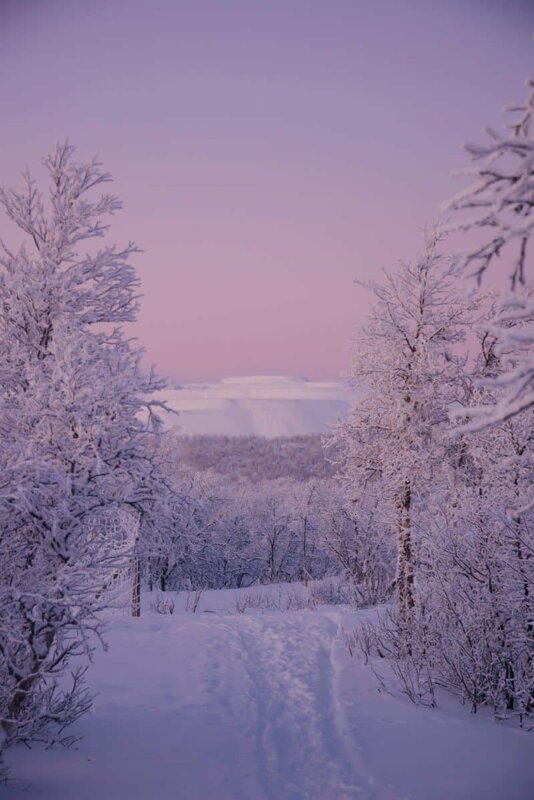 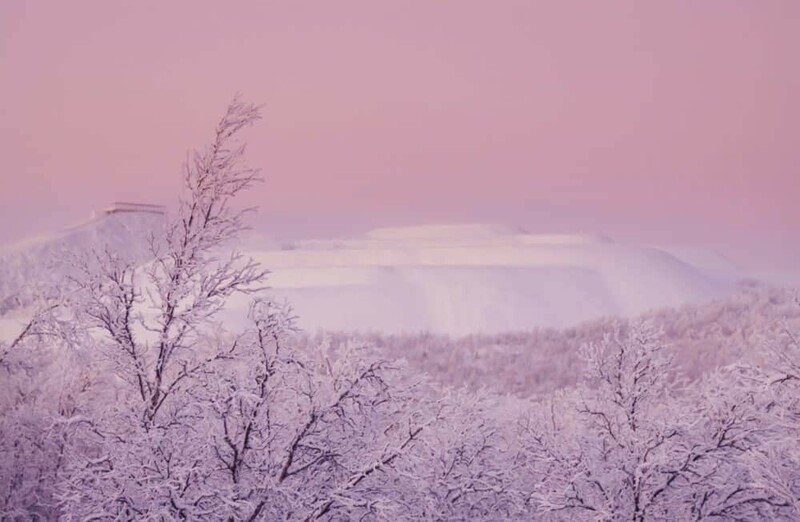 The mining town of Kiruna, Sweden is a great place to base yourself for outdoor adventures like dog sledding, aurora hunting and reindeer experiences. 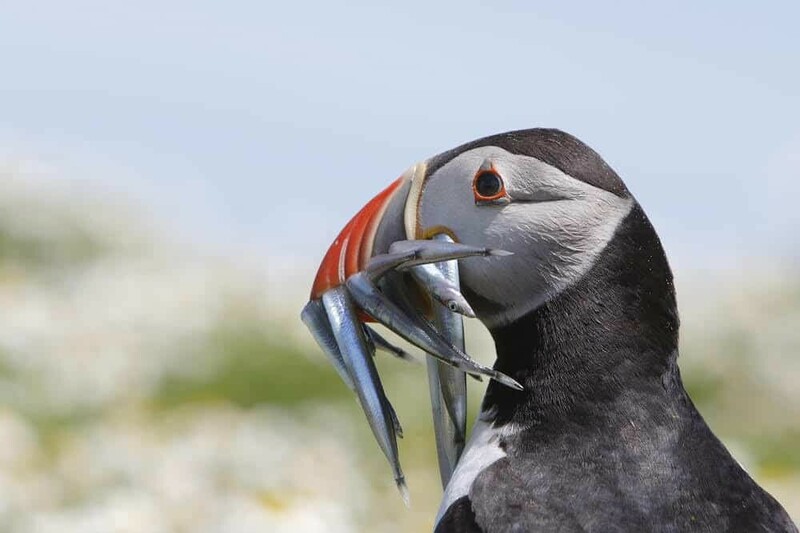 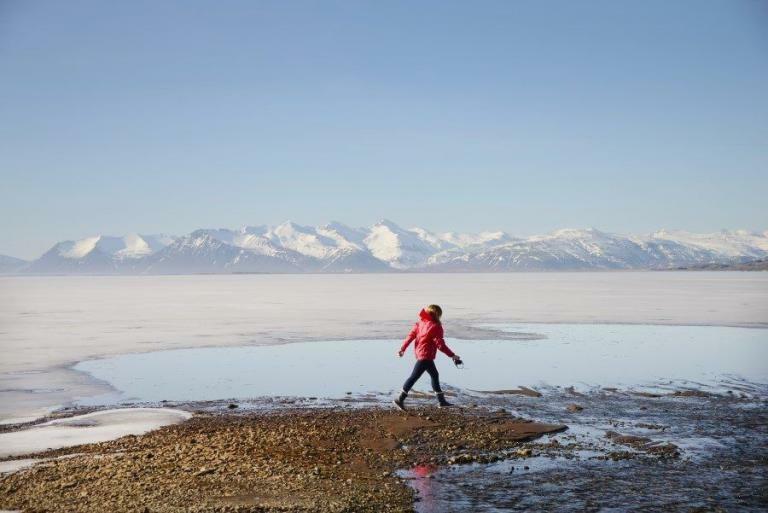 One of the best places to explore however is right on the edge of town. 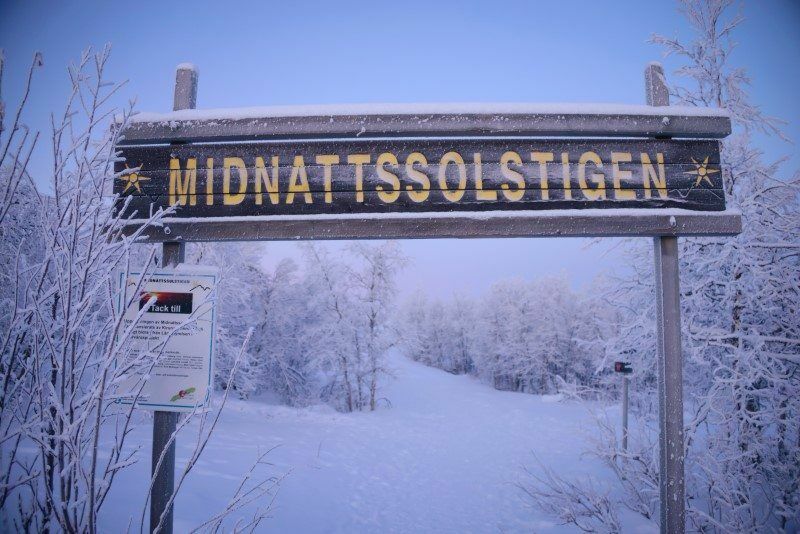 Midnattssolstigen is a nature park and it’s an adventure in itself with people skiing, snow shoeing or like me, photographing the scenery. 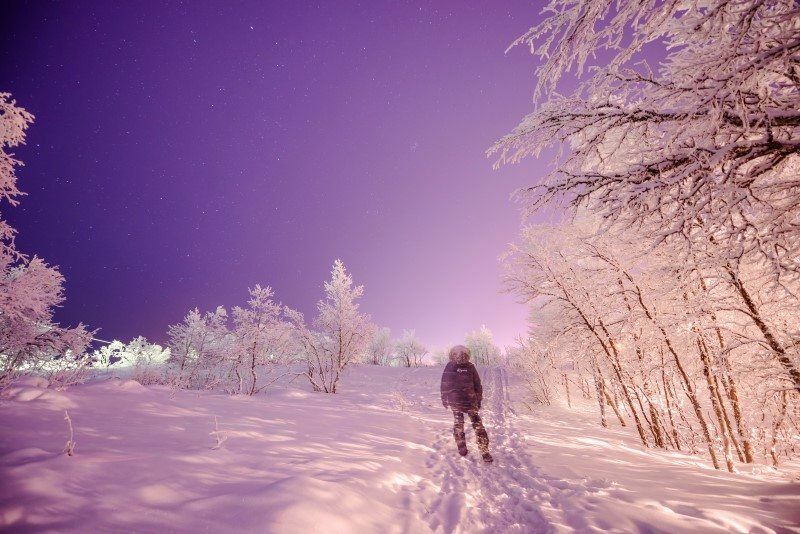 Walking through a snow covered landscape in temperatures of -26 degrees is not exactly a typical walk in the park. 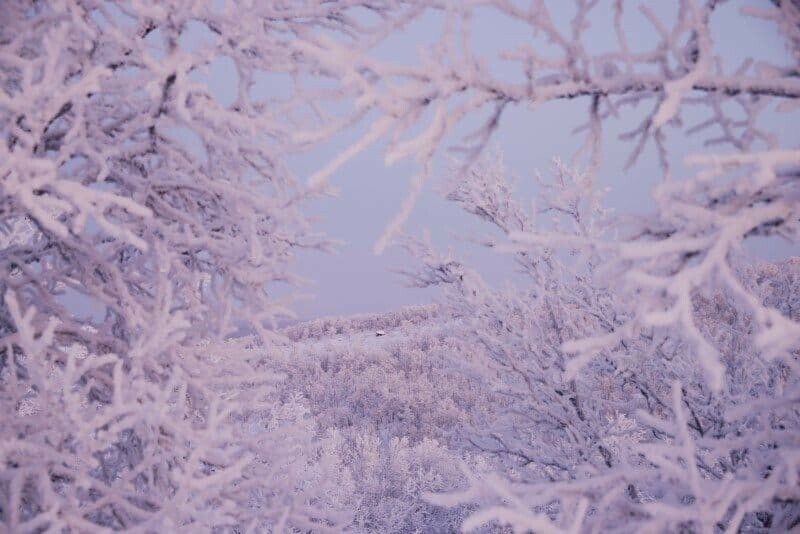 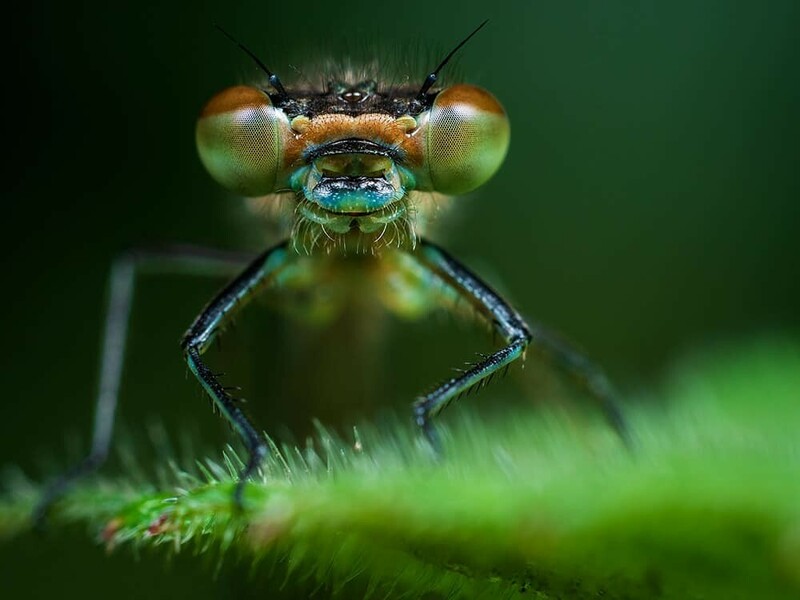 Feeling alive, inspired and bitterly freezing all at the same time. 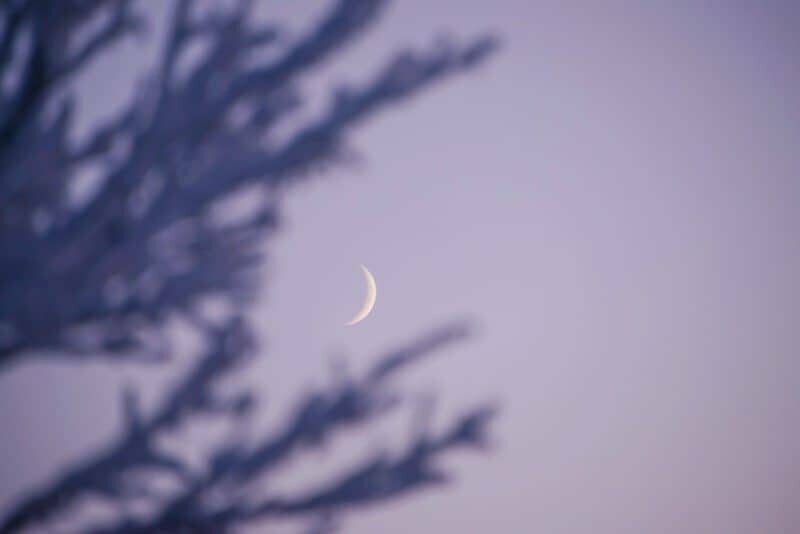 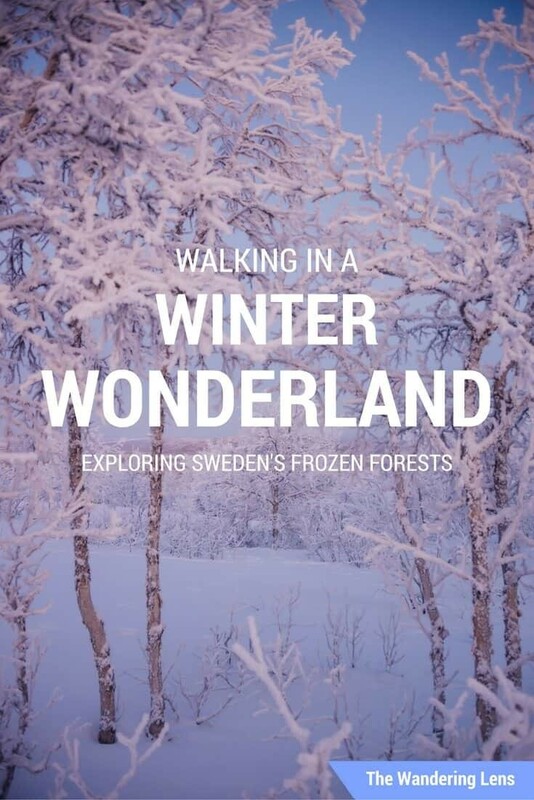 Take a peek below at a photo diary of my wanderings through the park and just to set the scene, be sure to sing ‘Walking in a winter wonderland’ as you browse…I promise it makes the photos better!